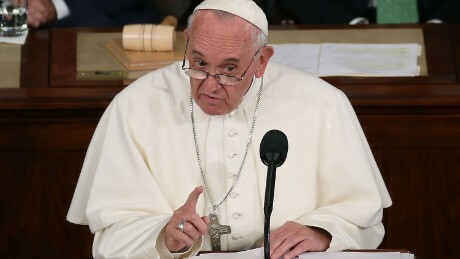 Pope Francis’s challenge for this second phase of his pontificate deals with two issues: the first, dialogue with other religions, based on the need for religious leaders to make a greater impact in the public arena; secondly, the effort to consolidate his administration so that it is less personalist and more equipped with a long term vision. And this second phase began concretely during these last two weeks. The appointment of Greg Burke and Paloma Garcia Ovejero, respectively, as Director and Deputy Director of the Holy See Press Office marked the beginning of the new phase, as well as the appointments of members to the Secretariat for Communications, now being shaped into a regular Vatican dicastery. Burke and Garcia Ovejero are called upon to formulate a clear narrative of a pontificate which at the moment is suspended too much between the Pope’s supporters and his so-called “opponents” – a label given anytime someone expresses himself in critical terms not toward the Pope, but toward some part of the agenda promoted by those around the Pope. The new narrative needs to go beyond polarizations, since any polarization loses something in terms of the capability of observing a pontificate that unavoidably casts light and shadows. What is the direction of Pope Francis’s pontificate? First of all, inter-religious dialogue as a response to conflicts has increasingly become the core of its agenda. During the last week, Archbishop Miguel Angel Ayuso Guixot, Secretary of the Pontifical Council for Interreligious Dialogue, visited for the second time in few months the al Azhar University in Cairo, Egypt, that is one of the most influential institutions of Sunni Islam. Between the two visits, the Grand Imam of al Azhar came to the Vatican for a meeting with Pope Francis, a visible sign that dialogue had been re-established and developed. So Egypt has become one of the cores of the Holy See’s diplomatic efforts, following the strategy designed by the Pontifical Council for Interreligious Dialogue. Since the very first violence perpetrated by the self-proclaimed Caliphate, the Pontifical Council has asked religions to stand for peace. The influence of religious leaders became a strong part of the Vatican’s diplomatic agenda after two meetings concerning the Israeli-Palestinian conflict that took place June 29 at UN headquarters in Geneva, and July 12 at UN headquarters in New York. Both of the Holy See’s Observers – Archbishop Ivan Jurkovic in Geneva and Archbishop Bernardito Auza in New York – underscored in their speeches the need for a wider involvement of religions in peacebuilding, and emphasized the so-called “two-track diplomacy”, i.e., diplomacy starting from the community according to a “bottom – up” paradigm. Papal diplomacy is thus putting into practice the notion of a “culture of the encounter” that Pope Francis has been highlighting from the beginning of his pontificate. At the same time, papal diplomacy is providing this “culture of the encounter” with a diplomatic framework able to go beyond the notion that “the encounter is the message.” This diplomatic framework is also shown by the increasing attention paid by the Vatican to the forgotten conflicts, like those in Ukraine and Syria, both targets of Vatican initiatives. If on the diplomatic side the role of the Secretariat of State seems to be solid enough, on the administration side, led by Cardinal Parolin, the same Secretariat has taken over the reins all the more, and has assumed the role of guide and organizer of the reforming process. This is another difference between the two seasons of this pontificate. At first, reforms seemed to go on at high speed, while nowadays everything is managed more prudently. The external commissions and Vatican outsourcing that characterized the first phase of the pontificate showed their limits by misunderstanding the exceptional context in which the Vatican operates. The Vatican is not a company to be reformed, but a State to be administered. Even the Council of Cardinals has taken a new direction in curial reform, and several debates have arisen while projects and designs are being put into order. After the initial period of confusion, the Secretariat of State has taken back its coordinating role in the Curia. At the beginning, it was widely thought that the Secretariat of State would be dismantled, with the two sections becoming two separate dicasteries. So what is the challenge for Vatican communications in this case? It is called to go beyond the game of counter positions. One recent example is the motu proprio “The Temporal Goods” that Pope Francis issued on July 9. The motu proprio outlined better the competences of the Administration for the Patrimony of the Apostolic See (known by its Italian acronym, APSA) and of the Secretariat for the Economy. In the end, it separated the oversight branch from the administrative branch. Several media outlets presented this step as a defeat for Cardinal George Pell, the Prefect of the Secretariat for the Economy, who fought for financial transparency. In his fight Cardinal Pell took some initial decisions that needed to be restructured at a later point. If the Secretariat for the Economy is called to oversee the Vatican financial entities, it cannot also manage the real estate or pay out the salaries, as these operations involve managing money. 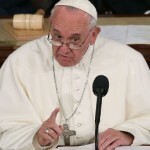 Pope Francis made the decision to clarify the separation. The motu proprio, indeed, also seemed to scold the entities involved by insisting that mutual collaboration between them is necessary. However, more than slap on Cardinal Pell’s wrist, this motu proprio must be read with the big picture in view, by looking back at the rationale behind Vatican financial reform and its anti-money laundering law. At the beginning, the anti-money laundering law was tailored to fit the individuals involved in Vatican finances, but step-by-step it was further reformed in order to fit the character of Vatican City State and the particular needs of the Holy See. Not by chance, financial entities were freed step-by-step from crossed memberships – for instance, the IOR Board of Cardinals that Pope Francis established in January 2015 did not include any member from APSA, as always happened in the past, thus marking the change of an era. Before, financial entities were managed in a climate of collegiality; now they adhere to international financial standards, and among these is the need to avoid any suspicion of a conflict of interest. The Secretariat for the Economy was established with the aim of bringing about a real renewal, and everything was put under the new Secretariat’s umbrella in order to achieve centralized oversight over Vatican finances. But it would not last long. As obvious, any change is a result of a profound internal debate, even a lively one. And sometimes this debate involves the circulation of rumors and leaks to the press which, in fact, amplify the conflicts without communicating the bigger picture. Seen from a wider perspective, we can say that Pope Francis is becoming more “institutionally driven” in making reforms, thus requiring or accepting a continuity of vision that at the beginning of the pontificate seemed superseded by the notion of a rupture with the past. So here is the challenge of the new Vatican communications branch. With new top ranks in the Holy See Press Office, the Secretariat for Communications is called on to work on the delivery of content and on the presentation of news. Msgr. Dario Edoardo Viganò, Prefect of the Secretariat, said in a recent interview that the Secretariat aims at “proactive communication,” with the goal of anticipating news rather than chasing the news trend. Until now, the Secretariat has worked on its organization, filled its ranks and designed functional reforms. Now it is time to talk about content. The challenge for Vatican communications will be to avoid limiting itself to providing news or filling the Holy See Press Office news releases with good news in order to counterbalance criticisms of the pontificate. The real need is to provide a coherent understanding of the direction of the pontificate, so that Pope Francis’s decisions will be better understood. At the moment, a minor shift has taken place in this pontificate: diplomacy is more in evidence, while Vatican reforms have become overall more coherent. Will the Vatican be able to communicate this shift? Does God play any part in this? Not even one mention of Him. PF is a man of the world, in the world, for the world. God, Jesus, salvation of the soul? Not so much.